Posted by OromianEconomist in #ABCDeebisaa, #OromoProtests. Tags: Africa, Ethiopia, Ethiopia’s secret genocide, Finfinnee, Master Killer 2.0, Oromia, Oromo, OSA, Why do the Oromo Resist the Finfinnee (Addis Ababa) Master Plan? The Oromo Studies Association (OSA) believes the draft law’s utter neglect of the Oromo people’s demands risks reigniting conflict on the unresolved issue of Oromia’s right over Addis Ababa. On June 27, 2017, the Council of Ministers of the Government of Ethiopia announced that it has adopted a draft legislation to determine by law the “special interest” provision of the 1995 Ethiopian Constitution and sent it to the House of People’s Representatives. The legislation was an abridged version of the draft law the government had leaked a few weeks earlier and quickly disavowed after a backlash from a deeply skeptical public about the intent and contents of the legislation. On June 29, the draft legislation was taken up by House of People’s Representative with a view to promulgating it as law. The Ethiopian Constitution posits, in Article 49 (5), that the special interest of the State of Oromia in Addis Ababa concerns three important areas: the provision of social services, the utilization of natural resources and joint administration of the city in lieu of the fact that Addis Ababa location within the State of Oromia. The law that was designed to determine these issues would be expected to explain in detail the meaning and process of implementation of the constitutional provisions. Assessed by any measure, the draft legislation is not worthy of its name. Nowhere does it attempt to define the “special interest” provision of the constitution or recognize the struggle of the Oromo people and their demands regarding Finfinnee/Addis Ababa. The draft legislation doesn’t designate the Oromia regional government as the beneficiary of the constitutional “special interest.” The boundary of Finfinnee is not delimited, even though that is a sin qua non for implementation of the proclamation. Instead there are indications of intent to expand the city limits into the Oromia state territory. With regard to social services, the proclamation only reiterates conventions and practices already in use and in place. Rather than defining the constitutional provision, the “proclamation” rehashes policy issues that any city government must undertake to serve its citizens. Providing inter-state transport services shouldn’t be a matter defined by law as a “special interest;” market forces are already at work in this respect. Providing youth employment is a responsibility of an incumbent in any city government. It cannot be designated as a special interest of a state. Overall, if there is anything resembling a definition of the constitutional provision, it is allusions to the rights of Finfinne residents who happen to be Oromo rather than those of the Oromia regional state as stipulated in the constitution. The proclamation also re-grants constitutional rights to Oromo residents as if their rights within Finfinnee aren’t already protected by the Ethiopian Constitution. In this sense, OSA considers the draft proclamation a mockery of the process of legislation that should be solemn and dignified. Even worse, the proclamation is an insult to the legitimate demand of the Oromo people for which, in the last two years, thousands have given their lives, limbs and livelihoods. To reduce the Oromo people’s demands to issues of youth unemployment, compensation for confiscated properties and provision of services is a dangerous political ploy that entails severe consequences. As a scholarly organization that has documented the struggle of the Oromo people for freedom, justice, dignity and human rights, OSA condemns the Ethiopian regime’s blatant disregard for the Oromo people’s demands over Finfinnee. OSA scholars have documented the history of violent conquests and the consequent dispossession of Oromo lands, dislocation of homesteads and displacement Oromo people from the area today known as Addis Ababa. It is unconscionable that the Ethiopian regime, when it is given the chance to correct historical injustices, has chosen to pursue the short term goal of perpetuating in power a group that has been there for more than a quarter century by force. OSA feels that the complete failure of the Ethiopian government to heed the cry of the Oromo people can only pave the way for more violence and bloodshed. 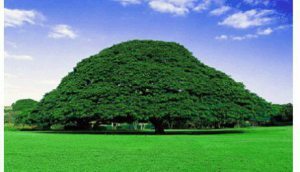 Cognizant of the long history and the intensity of the current demands of the Oromo people, OSA calls upon the following to take immediate action to obviate conflict and its horrendous consequences. The Oromo interest on Finfinnee is not “special.” It is historical and inherent. If this draft legislation were to have a chance of being accepted as adequate, it should respond to the Oromo people’s articulation of their interest during their protests last year. At a minimum, the draft legislation must include the following provisions. Delimit the boundary of Finfinnee the city boundary as it existed in 1991. Continued expansion is a recipe for renewed conflict. Recognize the Oromia regional government’s right to joint governance of the city. – Establish the Oromo language as a working language. Respect the political, economic and civil rights of all the residents. Recognize the city resident full democratic right of municipal self-governance instead of treating them as subjects of federal authority. – Restore and legally establish the city’s indigenous name, Finfinnee, as the official name of the city. Established by legislation the Oromo people’s right to socio-cultural, economic, environmental, and political benefits in the city and take measures to facilitate the enjoyment of these rights. OSA is believes that your protest last year has brought you to the verge of victory. Your gallantry and fearless engagement of security forces has caused the Ethiopian government at all levels to heed your demands. OSA salutes you on your achievements and your discerning wisdom concerning timing and appropriateness of direct action. OSA believes the government is aware of the power of your commitment to peaceful protest. We reckon that it will quickly abandon its misguided draft legislation. At the same time, we fully support your commitment to peaceful protest. OSA affirms its commitment to continue to provide the institutional support and intellectual materials needed to press on the Oromo people’s struggle for ensuring Oromia’s interest on Finfinnee. The issue of land and the Oromo interest over Finfinnee were the main causes of the protests that lasted for nearly a year in Oromia in 2016. This draft legislation on Oromia’s “special interest” is now being described as a backdoor attempt to implement the dreaded Addis Ababa Master Plan that triggered the protests. Governments and representatives of the international community have an obligation to use their good offices and leverage to persuade the Ethiopian government to refrain from forging ahead with this draft proclamation. OSA urges all parties to understand that Oromos are a force for peace and stability in Ethiopia and the Horn of Africa. Respect for human rights and commitment to peace and justice have been the traditional governing principles of Oromos. It is in the interest of those states that have security and other interests in Ethiopia to support these enduring Oromo values and denounce the rule of violence and rule by administrative fiat. OSA is aware that all foreign parties in Ethiopia pursue their own interests. However, an interest that is singularly self-serving cannot guarantee long term stability. investigating crises affecting the Oromo over the years. The irresponsible act of the Ethiopian regime in drafting the Oromia “special” interest legislation undermines the demands of the Oromo people over Finfinnee. As such, it is bound to provoke public anger. We urge you to continue to document the injustices that are being perpetrated under the state of emergency that has been in effect since October 9, 2016. OSA calls upon all forms of print, broadcast and online media to document and publicize the events underway in Ethiopia. The issue of Finfinnee is a potent political issue. We urge you to watch the events surrounding this draft proclamation as it is pregnant with all the elements that ignited a historic protests movement that resulted in the death of thousands of people in 2016. The scheme to dispossess the Oromo of their land and homeland, to dislocate them from their livelihood, and destroy their language and cultural identity, whether expressed blatantly as a Master Plan or shrouded with a cloak of a “special interest” draft law, is a threat to the economic wellbeing and survival as a nation. OSA affirms its commitment to offer all possible intellectual and scholarly assistance to strengthen the efforts to prevent its implementation.